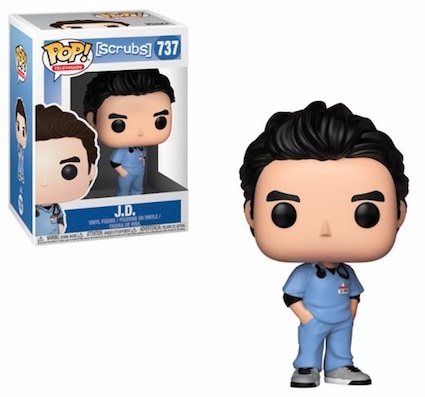 Product DetailsFunko Pop Scrubs revisits the gang of doctors and nurses at Sacred Heart Hospital. The nine-season medical comedy/drama filled the majority of the 2000s with laughter, medicine, and the shenanigans of J.D. and Turk. 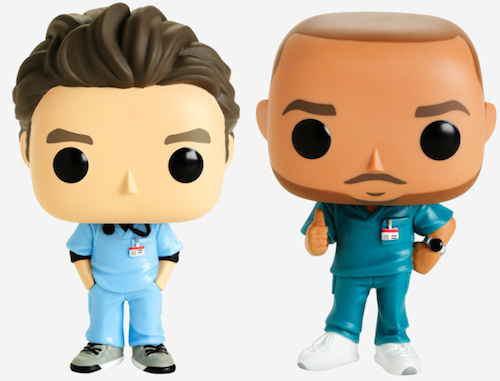 Like most sitcoms, Scrubs features many supporting roles, but the bulk of the main cast is included in the Funko Pop Scrubs line. The show's narrator and main subject, John "J.D." Dorian (Zach Braff) wears light-blue scrubs and displays his trademark hairstyle. 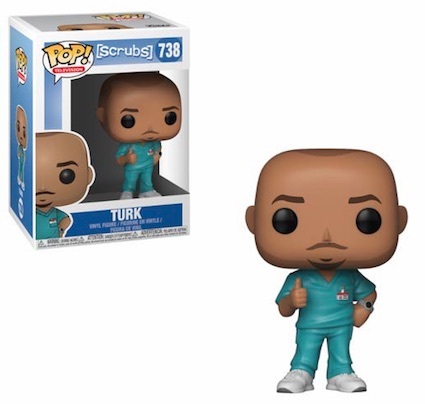 Best friend Christopher Turk (not Turk Turkleton), played by Donald Faison, comes in teal scrubs as he rocks a thumbs-up. However, Chocolate Bear is still waiting on his wife, Carla. Shop Scrubs DVDs on Amazon. Rounding out the first wave is J.D. 's on-again, off-again romantic interest, Elliot Reed (Sarah Chalke), in sky blue scrubs, and his mentor/personal tormentor, Dr. Perry Cox (John C. McGinley), wearing a white doctor's coat. 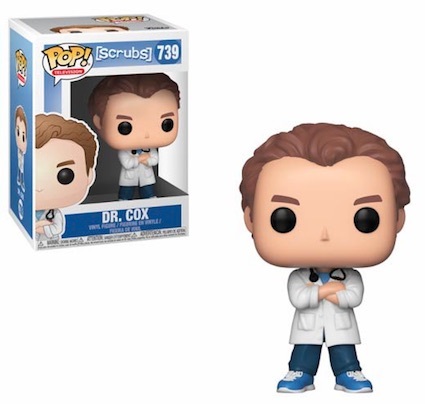 Because of the large cast, various dream sequences from J.D., and the many years in the series, the Funko Pop Scrubs set has a lot of room to work in more characters and variants. 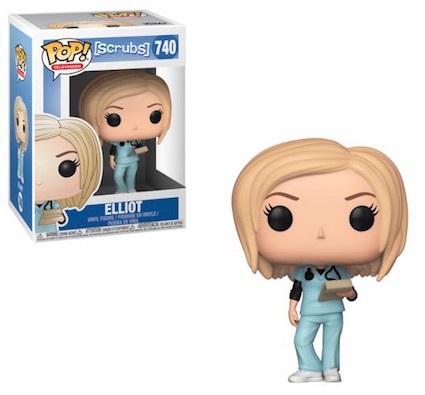 Check back for more Funko Pop Scrubs details and let us know if you spot any figures we are missing.